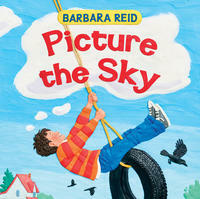 Picture the Sky, by Barbara Reid, will inspire a focus for Earth Hour—to go outside and look at the sky. One page depicts three kids and their grandma in lawn chairs on a screened-in porch, eating popcorn, watching a lightning storm. “Wherever we are, we share the same sky,” Reid writes. The sky “can slip into the background” in a downtown city, but “you may find a story in the sky.” On another page, a child holds up her rendition of Van Gogh’s “Starry Night,” made, of course, with plasticine. Perhaps an activity for kids during Earth Hour. 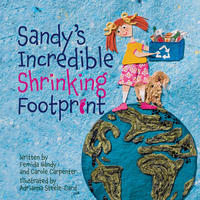 In Sandy’s Incredible Shrinking Footprint, by Fermida Handy and Carole Carpenter, illustrated by Adrianna Steele-Card, Sandy worries about her favourite place—the beach. The amount of litter there is overwhelming. Then she meets The Garbage Lady, picking up beach trash; she teaches Sandy: “The footprint of your life is the mark you leave on the world…all kinds of little choices can make your footprint smaller.” This picture book is a discussion-launcher for how to control your own footprint. A list at the back includes turning off lights when we leave the room. 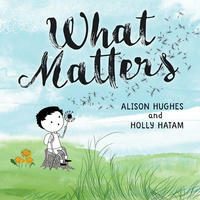 In What Matters, by Alison Hughes, illustrated by Holly Hatam, a boy picks up a piece of litter and puts it in the recycle bin. 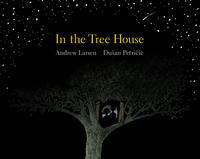 The story goes on to track all the small creatures, plants and water sources that are affected by his one modest act. Turning off the lights for one hour can make a difference, in the context of this simple story. 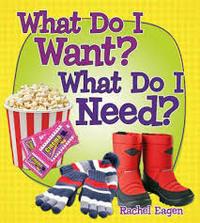 What Do I Want, What Do I Need?, by Rachel Eagen, is a nonfiction, money-focused book. Designed to teach kids about spending, it takes kids through the process of how we make choices, starting with the difference between wants and needs (and wanting more than we need.) 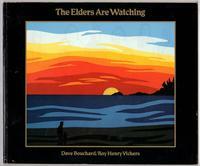 This could be a starting point to talk about the use of lights and electronics in our homes. 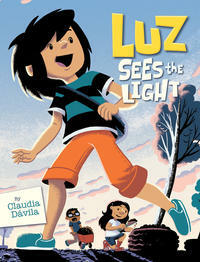 Luz Sees the Light, a graphic novel by Claudia Dávila, follows Luz, who can't buy the latest runners because of a city-wide blackout. Her next door neighbour, Gord, a local environmentalist, teaches her about the carbon footprint of buying running shoes, and Luz ends up revitalizing a community space, by composting the earth into rich soil. This is more of an independent reading recommendation for junior students interested in saving the planet—with instructions of how to compost at the back of the book. 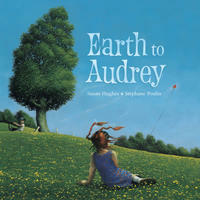 In Earth to Audrey, by Susan Hughes, illustrated by Stephane Poulin, Ray’s new next door neighbour appears to do alien-like things, like flying a kite from her bedroom window, training grasshoppers, lying barefoot in the grass, explaining the earth's rotation and the Big Bang theory. The reader is left inferring Audrey’s special connection to the earth. Who in your class or family has a similar empathy and willingness to join in Earth Hour?